Very sadly, we have recently heard that Margaret Lawrence’s husband is ill, and she too is unwell and thus has had to withdraw from the programme. Anita Thompson, the Secretary of the KAS Place-Names committee has very kindly stepped in at the 11th hour and will speak on ‘Lenham Dens and St Stephen’s bridge in Headcorn’. To ensure that she and I don’t talk about the same topic, but rather complement each other (at least I think they will), I have changed my title and will now talk on ‘Pigs, naming practices and symbolic meanings’. Another very recent development is that Hospitality at CCCU has volunteered to open the kiosk in Old Sessions over the lunch period so that people will be able to purchase sandwiches and hot drinks etc without needing to leave the building (Touchdown – the student snack outlet will also be open). As usual, there will be tables and chairs available for people to sit at during the lunch break. For details, including booking, please see: www.canterbury.ac.uk/kent-names or email artsandculture@canterbury.ac.uk or call 01227 782994. 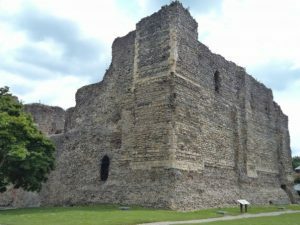 Another matter that took place this week was that a group of people at CCCU decided to meet to discuss what might be done to help Canterbury Castle. Members of the group have been talking to others locally and more widely who might be interested similarly, the idea being that this will be a very inclusive undertaking. The idea began when Professor Louise Wilkinson met Connie Nolan (Business School). Consequently, this was the inaugural meeting of the Friends of Canterbury Castle because if you have seen it recently, since Canterbury City Council decided to shut it as a health and safety risk, it looks very neglected and is a very sad sight [site] on the city’s heritage landscape. 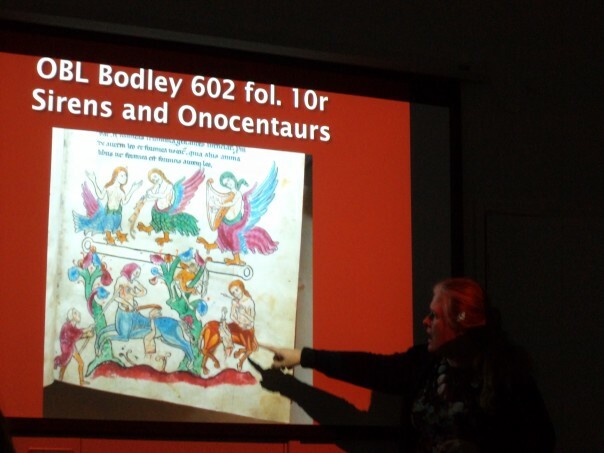 Among those who have expressed an interest in its wellbeing are Paul Bennett, Director of Canterbury Archaeological Trust and a Visiting Professor in the Centre for Kent History and Heritage, and the local counsellor. Moreover, by using the various contacts of those who were there at the meeting, one of the primary aims is to caste our net as widely as possible to draw in supporters – individuals, groups and organisations, and to seek to use the expertise of those such as CAT, English Heritage and the Castles Studies Group, to see if we can work with Canterbury City Council to somehow rectify the situation. Some initial ideas regarding a plan of action were discussed, and by liaising with Paul Bennett, in particular – CAT did a survey of the castle several decades ago and more recently has found far more archaeological evidence of the first castle and its inner and outer baileys, it is hoped to find out what the City Council has so far undertaken by way of a new survey and what its subsequent plans will be in the short and medium term. I’ll keep you informed as things develop and if anyone has any ideas about how the situation can be improved so that people today and in the future can visit and learn about the castle and its role, please do get in touch. 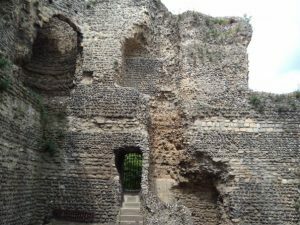 Canterbury Castle interior – before it was shut to visitors. 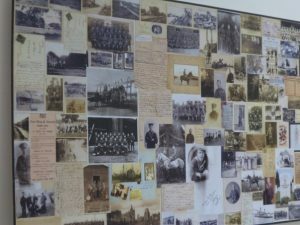 For the remainder of this blog, I’m keeping the military theme in that this weekend is obviously the centenary of the Armistice and commemoration has very much been the theme. Dr Martin Watts and the Rev. 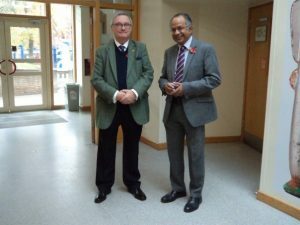 David Vannerley have been heavily involved in the organisation of events yesterday at Canterbury Christ Church. For the first of a number of sessions the Vice-Chancellor welcomed people to the Powell lecture theatre, commenting that it is indeed right to remember the ultimate sacrifice of so many men during WWI from across the globe and that since then, including the present day, the evidence that humanity had really learnt the lessons of the past might be said to be sadly lacking. He then introduced Martin as the first speaker. Martin began his talk by looking at how the Armistice came about when the previous year it had been seen as becoming ‘a war without end’ and only a matter of months before November 1918 there had been a definite fear that the reinforced German army might actually push the allies back to the coast or worse. However, the tide had turned, and it was the Germans who found themselves retreating. Not that casualties lessened on the allied side, but the possibility of victory made this acceptable. Matters were also coming to a head on the German side, including such catalysts as the naval mutiny at Wilhelmshaven; and on 7 November a German delegation met the allied high command. Thereafter events moved very quickly and the ceasefire came four days later. Martin next talked about the level of sacrifice that had taken place throughout WWI on all sides, and how it had involved nations from across the globe. He noted that contemporaries had understood the magnitude of the destruction and that from 1916 it had become total war. He also highlighted how Field Marshal Haig had been viewed as the right man for the job by the troops at the time, and that this had been the general feeling still once the Armistice was agreed. His final section looked at how the Great War had been commemorated during the first decade after 1918, especially the construction of the Cenotaph, the tomb of the unknown warrior, and the many war memorials created across the United Kingdom. He also drew attention to the work of Sir Fabian Ware who was behind the idea of the great cemeteries of war graves and other commemorative works across northern France and Belgium. Indeed, the idea of pilgrimage to these reminders of all those individual sacrifices remains important through to today as families, school parties and others continue to visit. Furthermore, Sir Douglas Haig’s British Legion continues to be a vital part of this remembrance, the poppy a potent symbol which has to a degree been updated for the 21st century – the poppies around the Tower of London in 2014 and now the glow of the red lights to mark the end four years later. Martin was followed by Rev. Vannerley who spoke about the ethical issues surrounding Just War Theory as articulated by ancient classical thinkers, the development of such ideas by St Augustine of Hippo, and their further expansion by Thomas Aquinas. He then considered whether such ideas could be applied to what had happened in the lead up to, undertaking and conclusion of the Great War. In particular, he looked at how Archbishop Davidson had seen his role in what might be called the war effort through his sermons and lectures. The Rev. Vannerley concluded by exploring briefly whether such a theory could be applied to conflicts now, thereby echoing the somewhat pessimistic note of the VC’s opening remarks on the state of the world today. 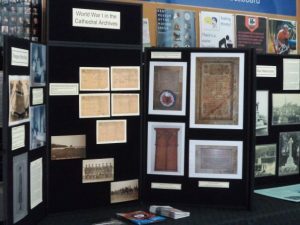 Thus, the need to remember was reinforced and as a practical way of doing just that was the display in the corridor outside. 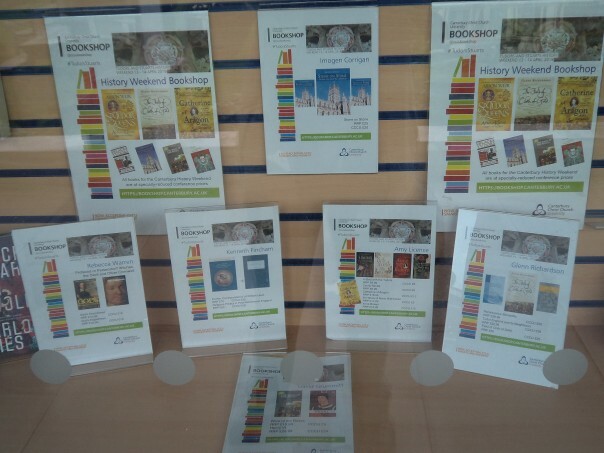 This display, including a section by Canterbury Cathedral Archives and Library, will stay until late November, so if you are in the Canterbury area, do come and have a look in the Powell Building – open week days. Finally, as well as the conference, Louise Wilkinson will be speaking to the Canterbury Historical and Archaeological Society on Wednesday evening at 7pm in Newton Ng03 on ‘Women and Chivalry’ which I’m sure will be fascinating. Do go along if you can.